Yay, indeed. 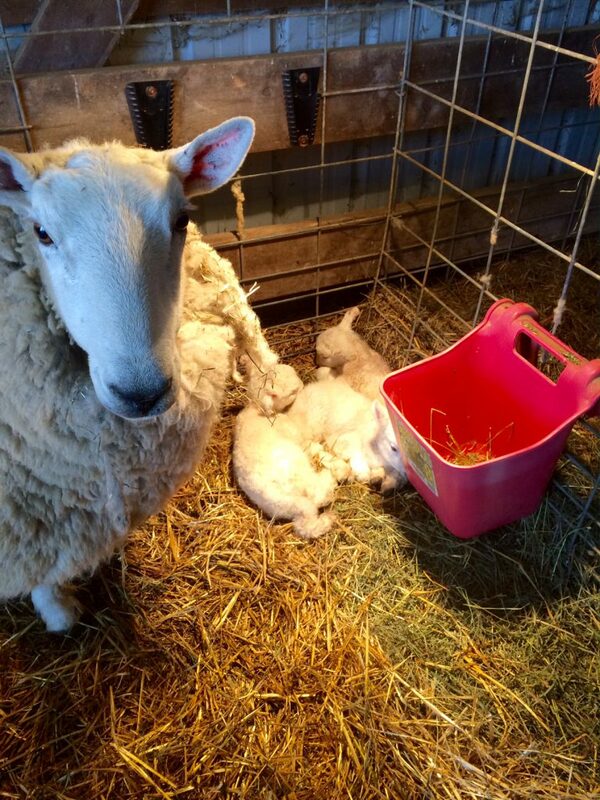 We are pleased especially with these triplets. They are jumping all around the place. We call that “lamb pronking.” And when a bunch do it together, we call it a “lamb frolic.” We went to bed very dejected last night thinking a ewe was in great distress. But it turns out she is just having a mild case of pre-vaginal prolapse. Our very experienced friend says to leave her alone and she should be just fine. We will watch and see. But it is an example of how raising livestock is full of life and many threats to life. A good shepherd or cattleman does a lot of worrying, but a lot of action to save and enhance life.